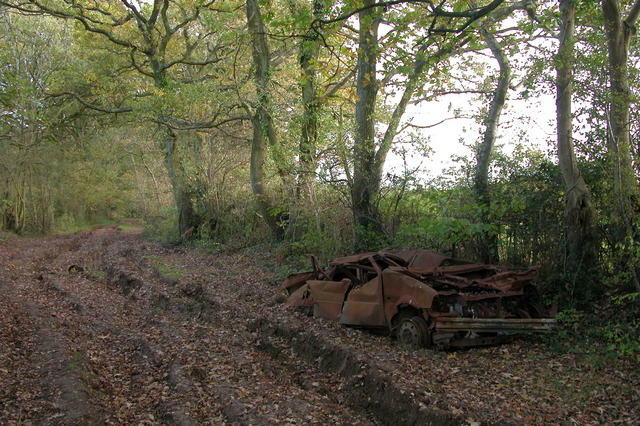 This car has been abandoned on a "green lane" near Lovedean. It's obviously been here quite some time! © Copyright Martyn Pattison and licensed for reuse under this Creative Commons Licence. This page has been viewed about 244 times.